A 6-place helicopter derived from the XH-40 in 1960 for the US Army. Used in Vietnam during the war beginning in Fall 1962 [AHS History Calendar | October 2017]. 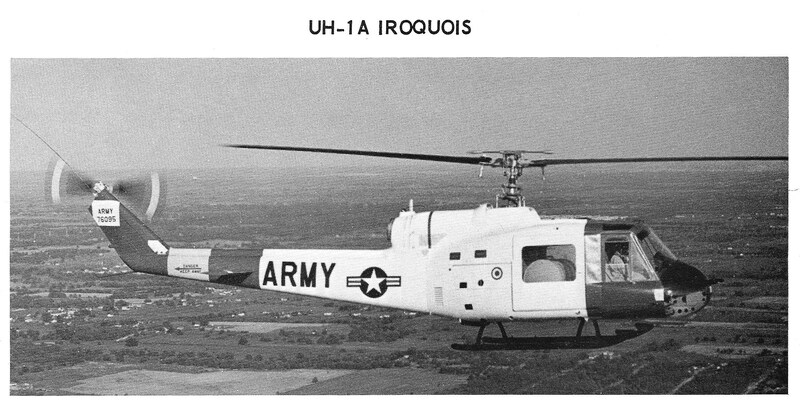 Resources related to the UH-1A Iroquois, provided by the Vertical Flight Society. 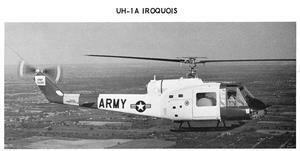 Resources related to the UH-1A Iroquois, provided by public sources across the internet.